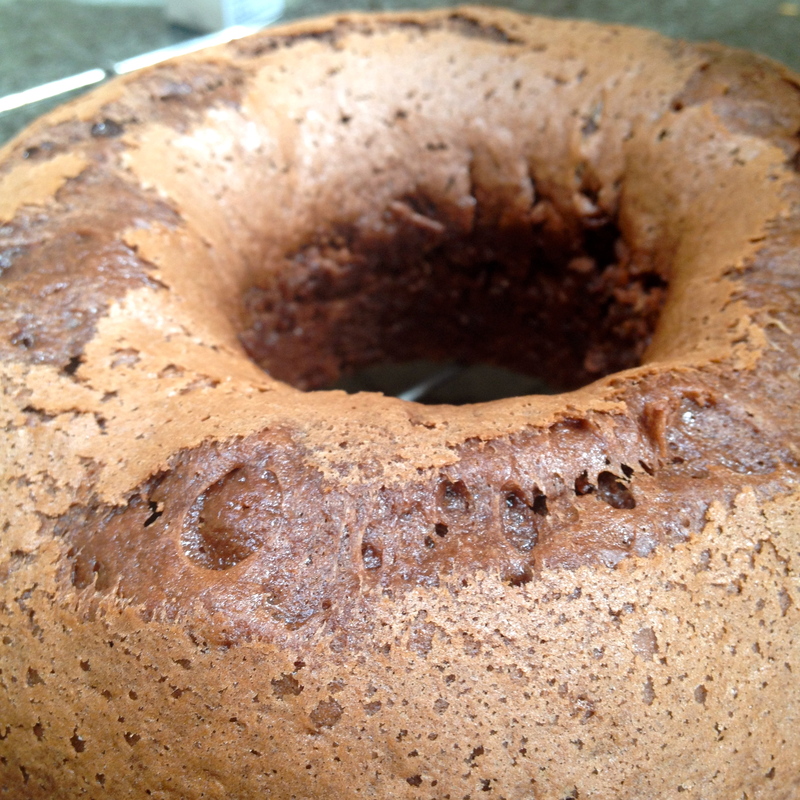 Today’s post: The Classic Chocolate cake. Occasion: A Birthday of course! 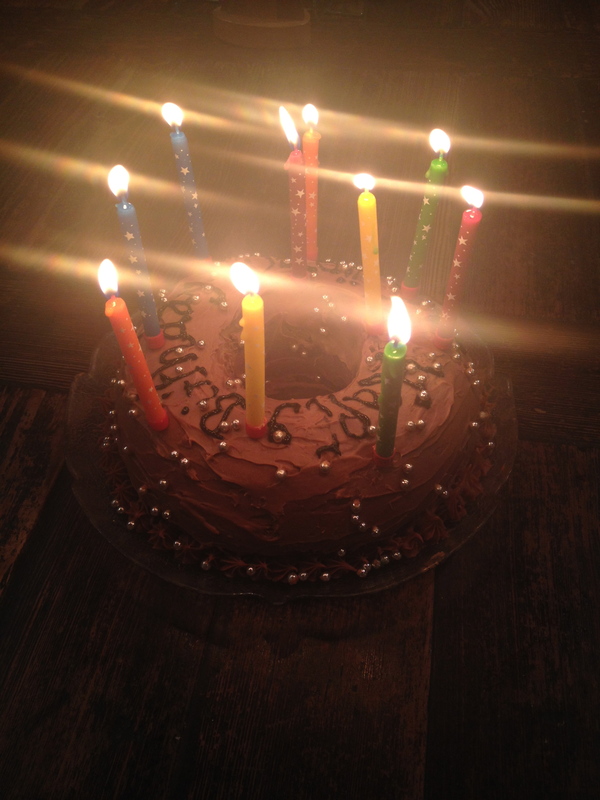 Yesterday my family and I celebrated Dad’s Birthday with chocolate… lots and lots of chocolate. 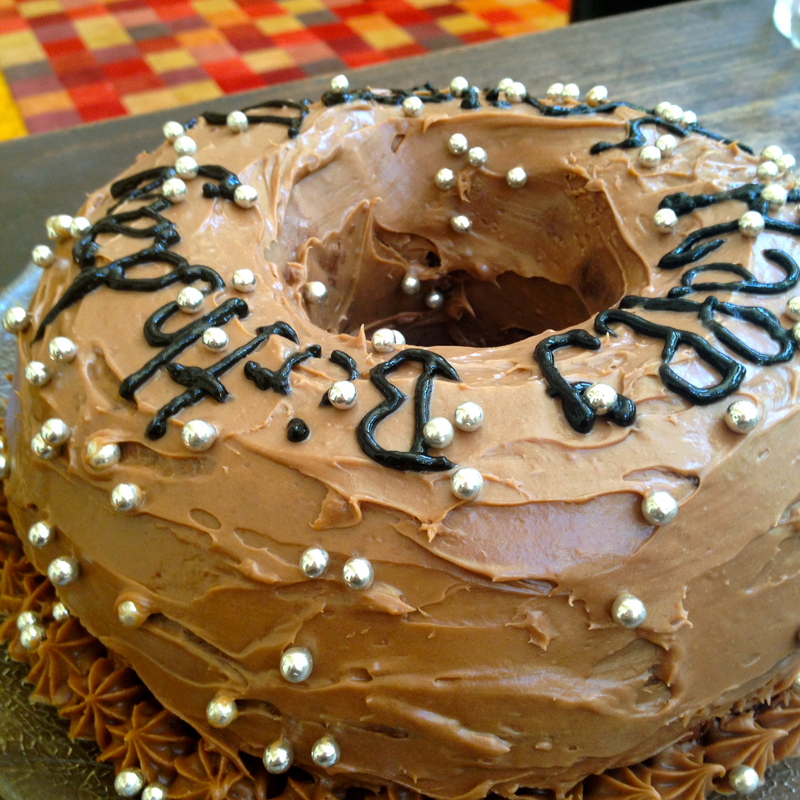 But the best chocolatey treat to delight our taste buds was this simple and sensational cake ! Decorated just the way I like it (with even more chocolate)! Preheat the fan forced oven to 180 degrees, grease a bundt cake tin with some butter and then we’re ready to get started! 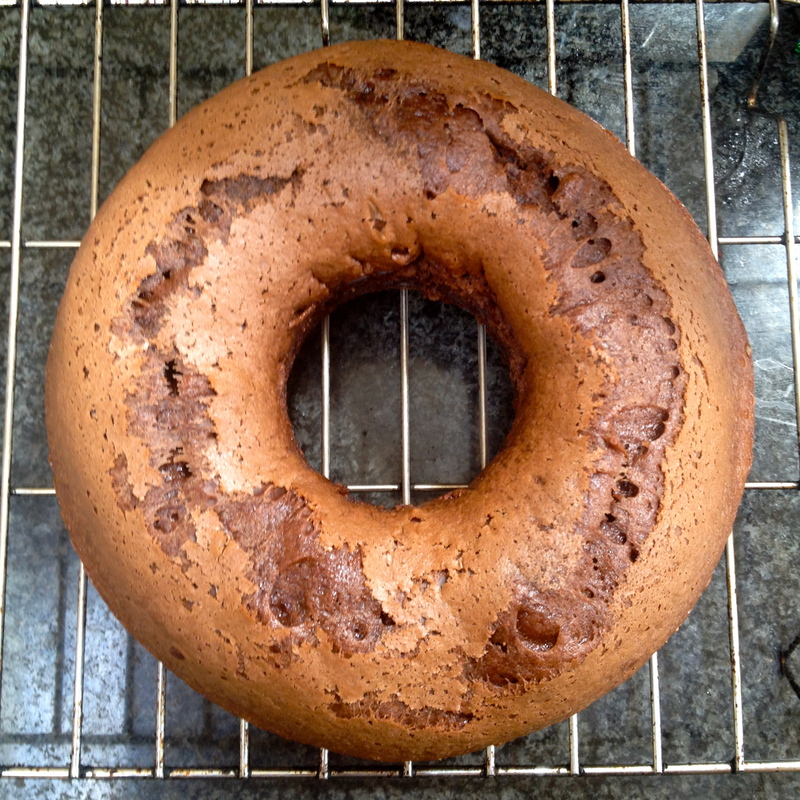 For the cake mix combine flour, sugar, cocoa powder, milk, butter and the egg. Then beat with an electric mixer until all the ingredients are well blended. Then pour mixture into the cake tin and bake for 30 minutes. Now that your cake is baking away in the oven why not get started on your chocolate butter cream? Bring water in a pot to the boil. Then place Cadbury baking chocolate (milk, dark, white- whatever you want!) in a heat proof bowl and pace on top of the pot allowing the chocolate to melt but not burn. 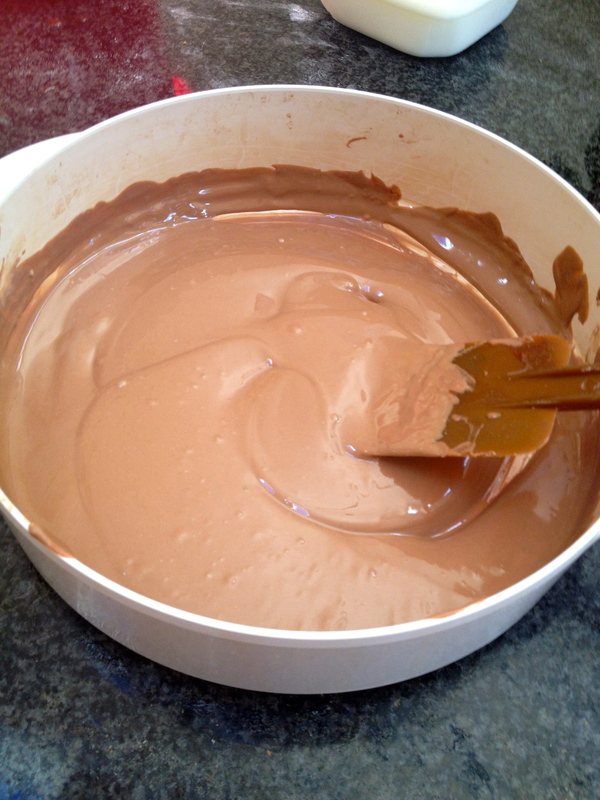 Once you have your smooth melted chocolate to the perfect consistency, take it off the heat and allow to cool slightly. Then add milk, butter and vanilla extract and To da! 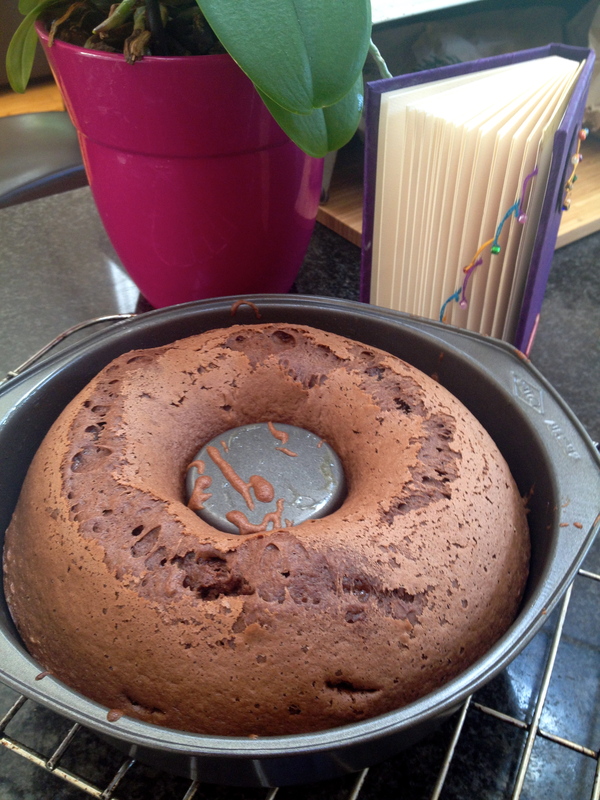 Your Icing is complete Just place in the fridge now whilst your cake finishes to cook. Finally it’s time to take out your beautiful cake. But before the real fun (decorating) begins you’ll have to wait at least 30 minutes whilst your cake cools. 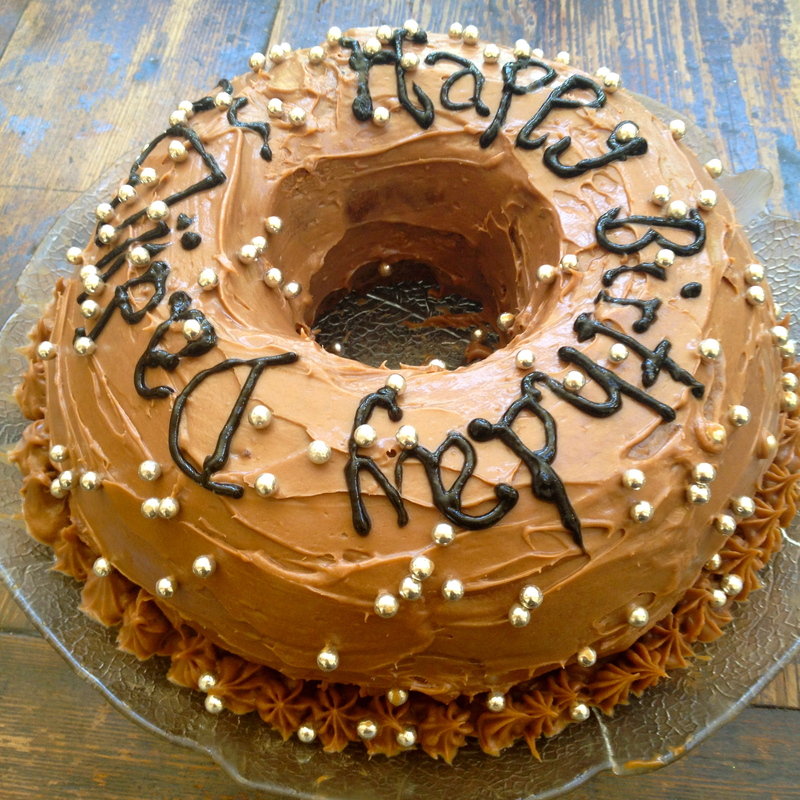 When your cake is cool take it out of the mould and take the icing out of the fridge. Now is the time to get really creative! You can play around with your designs and your equipment. To make my super birthday cake I used piping bags, a black icing pen, some silver sugar balls and topped it off with some colourful birthday candles! 1.5 cups of Self Raising Flour. 0.5 cup of melted butter. 220g Cadbury Baking chocolate (of your choice). And there you have it! A Classic chocolate cake enjoyed with the whole family, something a little special for a memorable occasion.